It is that time of the year again! The time of year when I tell you my honest review on all of the books that I read this year. I have to be honest, this has been my favorite post to write every year. Even though this is only the third year. Whatever. As always, the books are listed in the order that I read them, because to do otherwise would be to surrender to complete anarchy and I might as well not write anything and we all go home and go to bed, goodnight. Unfortunately, I had a few books this year that I really disliked for one reason or another. Usually when I don’t like a book, I abandon it after 50 pages or so. But there were a couple that I read to the end, either hoping they would get better or too lazy to go to the library for something else, or both. In response to this situation, I have added a poop emoji to my five-star scoring system. Because I couldn’t warrant giving even one star. Not even one. Just poop. Let me know if you have read any of these picks, and what’s on your list for next year! Ever since I went to Haiti, I have been so interested in reading Danticat’s works (who is a Haitian-American author). As I mentioned in my review of Breath, Eyes, Memory last year, this author excels at painting a picture of the culture that the characters inhabit, which is of great interest to me.. 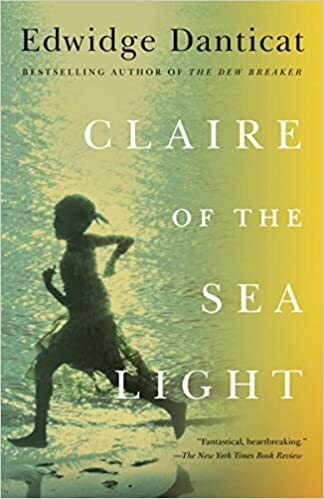 The story is interesting in that it introduces many different characters of different classes, and weaves their individual stories together in a way that leads back to Claire. The story starts and ends with her, on her birthday, and the conflicting joy and pain that is present on that yearly anniversary. However, at the end of the book I felt a little unsatisfied. Just as I was getting to know each character, the story ended. I felt like the opportunity for a deep dive was lost because there were so many characters who needed attention. I did like it, and I still want to read more of Danticat’s works, as her voice is unique. This is the story of a mysterious single mother and her teenage daughter who move into an idyllic neighborhood, disrupting the seemingly perfect facade of a family with whom they become friends. I give this one a “meh”. I could take it or leave it. I know that there are many who would like this book, and there isn’t necessarily something majorly wrong with it, it’s just not my taste. Maybe a beach read for someone who enjoys this type of fiction. I read this book very early in the year and I am glad that I did! 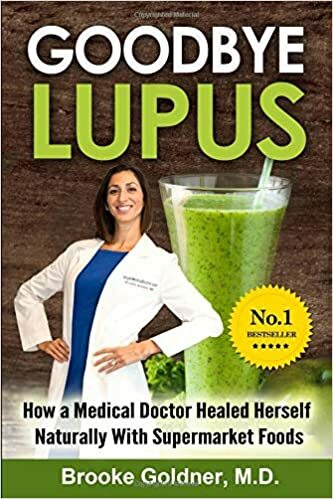 This book is written by a doctor (yes, she is a real doctor) who was diagnosed with severe lupus in her teens. She was on chemo and in and out of the hospital for many years. She was able to fulfill her dream of becoming a doctor, despite suffering several mini-strokes during her residency, among other things. She met the love of her life during her residency who happened to be a personal trainer, and they decided to get married, even though her doctors told her that she probably wouldn’t live past the age of thirty due to the severity of her illness. She asked her fiancé to help her get in shape for their wedding, and he put her on a whole food plant based diet with tons of greens. She had previously been a vegetarian but he had her cut out all processed foods and animal products (she described herself as a “cheesetarian” prior to that). Several months in, she was not only looking great but her lupus markers had disappeared when she visited her doctor for routine followup and blood work. They had stumbled upon something that actually has put her into full remission and given her excellent health. She now has been able to help many people with a variety of autoimmune disorders (lupus, multiple sclerosis, rheumatoid arthritis, etc.) greatly improve or completely heal their conditions. I have psoriasis (which is autoimmune) and have had a smattering of strange autoimmune things come and go over my lifetime (iritis when I was in elementary school, anti-thyroid and anti-cardiolipin antibodies when I was pregnant) and a family history of multiple sclerosis. I have always been concerned about developing psoriatic arthritis. I decided to give her program a try. I was already on a plant-based diet so I added the green smoothies and omega-3’s as she suggested (and tried to eliminate my cheats–tortilla chips, chocolate–still working on that! ), and my psoriasis is 80% clear! Sure, I am now the weird crunchy granola hippie that everyone likes to make fun of, and I get a few looks when I carry my huge green smoothie into work, but I don’t care. For me, it’s better than the alternative. If you have any kind of autoimmune disease, you may want to check it out! She is not selling any gimmicks, just using ordinary supermarket foods. Shout out to the Ian Cramer podcast, which is where I first learned about Dr. Goldner. You can listen to that episode here. This book is insanely popular for good reason. 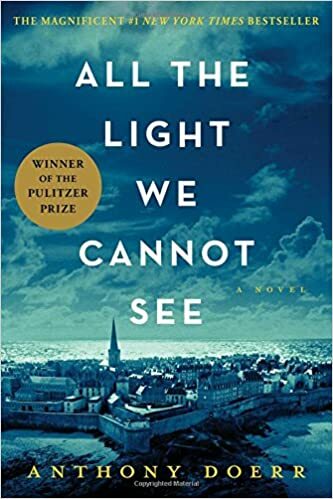 There are so many novels written around the events of WWII that this specific brand of historical fiction has almost become a genre unto itself. I almost did not want to read it for this reason. But I saw it in the library before I went on vacation, and it was a really thick book. I love really thick books. I feel so accomplished after reading them! Anyhow, I am so glad I did read it. Set within the context of Germany’s invasion of Poland in 1939, the author tells the stories of three women–a young Polish girl sent to a German concentration camp after being caught assisting the Polish underground resistance, an ambitious German doctor who ends up working in the same concentration camp, and a French socialite living in New York City who finds her own personal and professional life forever altered after the Germans move through Poland and invade France. The story is beautifully written, each character well developed, and the weaving together of their stories is thoughtful while also appearing to be organic. Highly recommend. 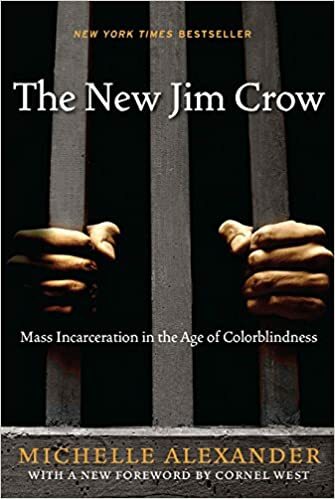 The New Jim Crow is an incredibly insightful, well researched, and important book for our time that I think should be required reading. It discusses in great detail the evolution of civil rights in America, and argues quite effectively that we have not come as far as a society as some would like to think we have in regard to racial equality. The author looks at the history of segregation in America, and how African Americans have gone from being sold as slaves, to experiencing segregation in the era of Jim Crow laws, to our current time where the criminal justice system perpetuates racial caste by with its disproportionate incarceration of African Americans. She discusses how so many of our systems are set up to target and discriminate against people of color, and how the “War on Drugs” declared in the 1980’s has facilitated the mass incarceration of African Americans and the school to prison pipeline. Eye-opening. It reads like a text book, so though the info is excellent, it’s not a huge page turner in the way a novel would be. So while it is a must-read, do not read when drowsy. I don’t like to be too harsh with my criticism toward any book, because I imagine that behind every book is an author who labored to bring the story into the world. However, with no disrespect toward the author, I really hated this book. I’m not even sure why I finished it. I guess I was hoping it would redeem itself toward the end with some sort of interesting twist. (Spoiler alert–it didn’t). The story is about a woman who unsuspectingly marries a sociopath after he swiftly works his way into her heart by showering both her and her special needs sister with affection. The moment they say “I do”, he flips his sociopath switch on and locks her away, abuses her in various ways, and keeps her isolated from the outside world, threatening harm to her sister if she tries to tell anyone or escape. There was absolutely no mystery or nuance in this book. The antagonist just blurts out his motives when explaining to his wife/captive the reasons for his new behavior (He likes the smell of fear. Eyeroll!). He turns out to be a completely one-dimensional and predictable character. The plot and resolution were also predictable and, at times, just too cheesy for words. It was like one of those melodramatic movies on the Lifetime channel that you are not enjoying but also can’t look away from. I half expected Valerie Bertinelli to jump out of the pages as the protagonist. Thumbs down. This is an interesting book in that it doesn’t seem to have much of a plot. 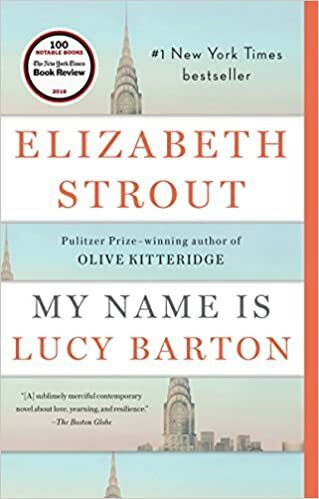 The book centers around a series of conversations between Lucy Barton and her estranged mother, who comes to visit her when Lucy is stuck in the hospital for an extended period of time. Watching their relationship shift through these conversations within the context of her illness was interesting. Moves kind of slow. I give it a so-so. 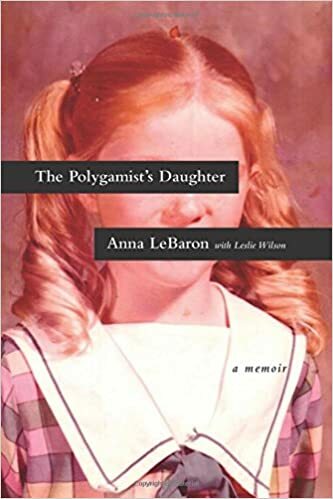 This is a memoir written by Anna LeBaron, the daughter of the infamous polygamist Ervil Lebaron. She details the horrors of her life growing up in a polygamist cult and her subsequent escape at the age of thirteen. It is a haunting to read, but also an eye-opening look into the world of a radical Mormon cult. Interesting factoid–Anna is related to Ruth Wariner, the author of The Sound of Gravel, which was one of my favorite books from last year. But they never met each other until after they both published books about their lives in the same cult! Their fathers were brothers, and Ervil, Anna’s father, ordered the hit the lead to the subsequent murder of his brother, who was Ruth’s father. THIS BOOK IS AMAZING! This is my pick of the year! The story is about an absolutely normal and completely endearing family with three boys. Their youngest son, Claude, identifies as a transgender female very early in his childhood. 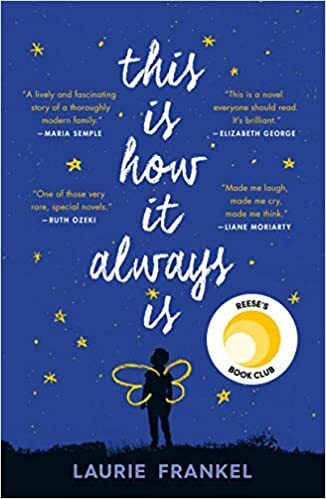 The story follows the family as they learn to love, accept, and navigate the complications and family dynamics that come about as Claude grows up. This book is beautiful, funny, smart, sensitive, and I loved it. A must read! 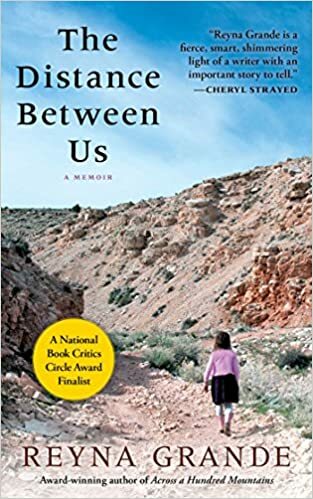 This is a fascinating memoir about family, poverty, illegal immigration, and generational trauma. The author, who grew up in Mexico, recounts in vivid detail the instability and poverty of her childhood. Her father crosses the border illegally to make money so that he can build his family their dream home, promising to come back soon. Reyna is left with her cruel and abusive extended family, sustained by the hope of her father’s promises that he will return. When she finally does get the opportunity to cross the border into the U.S. (illegally), she faces a whole new set of challenges, a different kind of poverty, and the continuation of a painfully abusive legacy in her family. This is a difficult yet beautifully written and timely memoir. Required reading for our time. I almost didn’t want to read this one because it was a Reese Witherspoon book pick. No offense, Reese, but it just seemed to me like you stole that whole idea from Oprah and I’m not down with that. Anyhow, this was again another situation in which I had nothing to read and this book was lying around, another hand-me-down from my mom. I really liked it, so it turns out Reese has good taste and now maybe I will cautiously trust her judgement with future book recommendations. 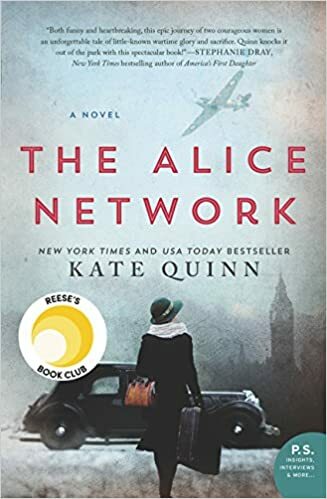 Anyhow, The Alice Network has two story lines, the first of which is based on a true story of a network of female spies who were instrumental in providing intelligence about the Germans during WWI. The other story line, set in England in 1947, revolves around Charley, a young woman from a wealthy and reputable family who becomes pregnant out of wedlock and is sent away to London to “take care of her little problem”. In an act of rebellion she skips out on her “appointment” and romps around to try to find her missing cousin, Rose. As she begins to uncover what happened to Rose, she crosses paths with Eve, one of the former members of the Alice Network. As the truth about Rose emerges, Eve has to come to terms with her painful history as a spy in WWI. I loved Eve’s story line from the WWI era. Charley’s story seemed like more of a filler that served to advance Eve’s story. Overall a good book, though I didn’t care for the Charley story line as much. This book could be considered the fictional equivalent of The New Jim Crow, reviewed above. A successful, professional African-American man, in the wrong place at the wrong time, is accused for a crime he did not commit and subsequently goes to prison. His wife is left behind to deal with the emotional turmoil and loneliness left in the wake of his conviction. Years pass, and he gets out of prison to find that not only has life has gone on without him, but he has suffered loss upon loss. Loss of his old life, of his reputation, his friends, even the ones he thought would be most faithful. 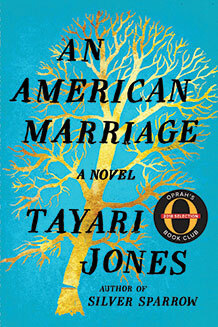 This book is about racial injustice in America, but also about marriage, loyalty, and love. Not an uplifting story, as you can imagine, but an important one. Very well done. This book is about Akin and Yejide, a young, educated, married Nigerian couple who are very much in love. When they have a difficult time conceiving a child, they not only suffer all of the heartbreak that comes from infertility, but they also have to deal with Akin’s meddling family, who are very invested in Akin producing an heir. Akin gets strong-armed into taking a second wife (or, you could argue that he just needed to grow a pair and stand up to his mother), in spite of the fact that the couple had previously agreed that they would not practice polygamy, a common practice in their culture. What ensues is a series of lies, deceptions, and tragedies. Lots of twists, but pretty dark. Even for me. Stay with Me got a lot of five-star reviews on Goodreads, but I’m not sure I agree. It wasn’t my favorite. I have never read a book like this before. This is a story the revolves around multiple characters within a Native American community. 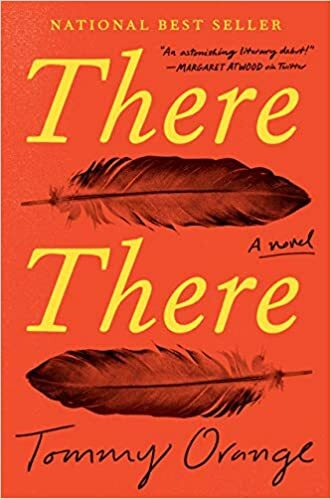 As their individual stories intersect, culminating in a tragic event at a local Powwow, the author weaves for us a bleak picture of the social and relational issues that plague this community. This was the third book in a row of very bleak, sad, dark books that I read over the summer. So though I appreciated the issues that the book addressed, I felt utterly depressed afterward (though I think that may have been the point of the book). I do not recommend reading this trio of books (An American Marriage, Stay with Me, and There There) in succession as I did. I was so bummed out at the end that I was almost ready to pick up something by Nicholas Sparks just to lighten the mood. Luckily, I came to my senses and stopped myself. Phew! My mom read this one first and passed it along to me. I had nothing to read one day, so I picked it up. The time I spent reading this book– I will never get back. If I was in prison and this is the only book that was available to read, I would rather do endless push-ups or accept solitary confinement. 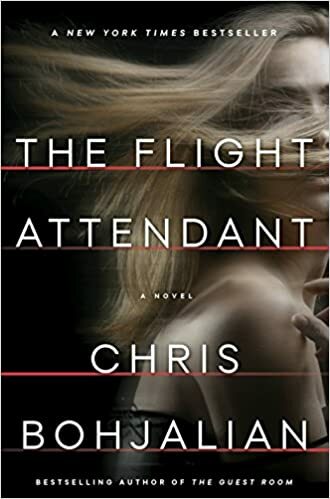 In brief, this book is about a woman who is a binge-drinking alcoholic who works as a flight attendant (comforting thought!). She wakes up one day with a dead man in her bed, but can’t remember much from the night before because she blacked out after drinking. In an attempt at self-preservation, she flees the scene and tries to piece together what happened, while simultaneously trying to weave together a series of lies about her whereabouts that night. I have enjoyed this author’s other works in the past, namely Midwives, which I read in 1999 and loved. This one, not so much. 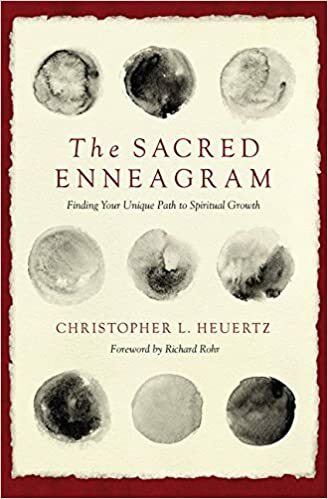 I really wanted to like this book, since I am a little obsessed with the Enneagram. I had high hopes, based on the title and description, that this book would enhance my understanding of Enneagram principles and discuss practical application in the areas of spiritual growth and personal development. However, I found this book really difficult to slog through (read: boring). 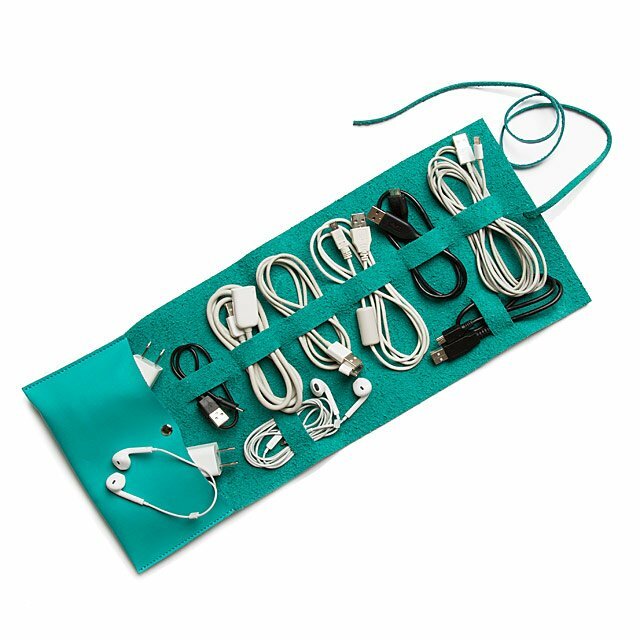 Usually I am fascinated by this stuff, so I am not sure if it was the organization of the book or the writing itself–it just didn’t hold my attention. There were some gems of wisdom here and there, but the book was also really heavy on the history of the Enneagram, with lots of name dropping. I have heard this author speak on a podcast in the past and was completely transfixed by his knowledge and depth of insight. I think he comes off better as a speaker than as a writer. 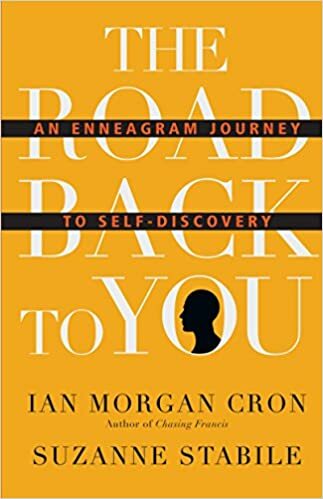 If you are interested in the Enneagram, I suggest starting with The Road Back to You by Suzanne Stabile and Ian Cron. This book that explores the subject of racial injustice and privilege in America. This seemed to be the theme for the books I read this year, though it was unplanned. 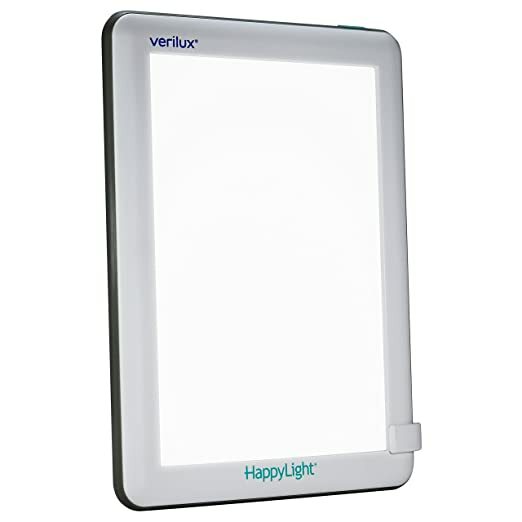 The main character, Ruth, is an experienced labor and delivery nurse who is good at what she does and takes pride in her work. She also happens to be the only African American in her workplace. On a seemingly routine shift, Ruth finds herself taking care of a white supremacist and his wife, who promptly speak to her supervisor to request that she not be allowed to care for them or touch their baby for the duration of their stay. When a tragedy ensues, Ruth finds herself facing a court trial and possible jail sentence. I enjoyed this book. It was well paced and kept me engaged the whole time. Ruth is a character who is easy to sympathize with. Interestingly, the author was able to make the white supremacist in the book very human as well. In spite of the serious subject matter, this has a little bit more of a chick-lit feel than a literary one. However, it was a page turner and I would recommend it if you are keen on this genre. 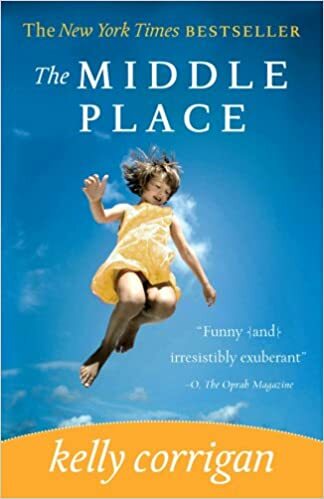 The Middle Place is a smart, funny, and beautifully written memoir which is at once a tribute to the author’s beloved father, and a chronicle through her diagnosis and treatment of breast cancer in her late 30’s. Kelly shares childhood memories and lets us in on her special relationship with her dad, who also happens to be an unfailing optimist, her biggest cheerleader, and her soft place to land. As Kelly is in the thick of her cancer treatment, her father is diagnosed with cancer as well. She subsequently struggles with the possibility that her father won’t always be there for her, and the strangeness of being in “the middle place”–the middle of life where she is at once a daughter and a wife/mother, a patient and a caretaker, both grieving and grasping on to joy where it presents itself. I loved this book. It is honest and raw, and Kelly unapologetically says all of the things that I have felt in times of pain and suffering, without any of the platitudes, cheesy advice, or false assurances. Just her honest journey. She is also wickedly funny with a little bit of an edge, which just made me love her more. Highly recommend. This book is a very interesting historical fiction novel set in the late 1960’s in Africa during Nigeria’s Biafran war. If you are like me, you perhaps have never heard of the State of Biafra, which was birthed in 1967 when the minority Igbo people (who were significantly outnumbered by the Hausa people) declared independence from Nigeria. What ensued was a bloody 2.5 year war that left the country devastated and completely obliterated Biafra. The story is set around fraternal twin sisters from a wealthy family who, for various reasons, have never been terribly close. Olanna (the pretty one) is attached (but not married) to a University professor and Biafran revolutionary, Odenigbo. Her twin sister Kainene (the gritty, cynical one) is involved with Richard, a white British author who moves to Nigeria to write a book. The cast of characters seems to be held together by Ugwu, Odenigbo’s houseboy, who comes of age as the political conflict escalates and progresses through the war. I liked this book in that it brought my attention to a time in history that I would not have known about otherwise. The first two-thirds of the book really dragged for me, and I had trouble slogging through. However, in the last third the pace picked up and the pieces started to come together. Not an uplifting tale. A few of the characters irritated me, particularly Olanna, who we were told over and over was beautiful, smart, and kind, and yet didn’t seem to have enough self-respect to leave her cheating, lying, live-in boyfriend. Don’t get me started on that. Really the only likable character for me was Ugwu. Cast of characters aside, it gets 3 stars, mainly for the historical subject matter. I closed out the year with this psychological thriller by Gillian Flynn. I read Gone Girl a few years back and it blew. my. mind. 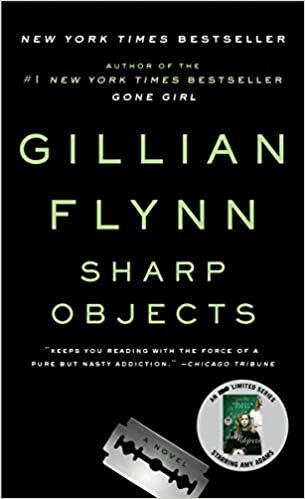 Sharp Objects was her first novel, and it was a decent escape from reality for a few days and kept me turning the pages. 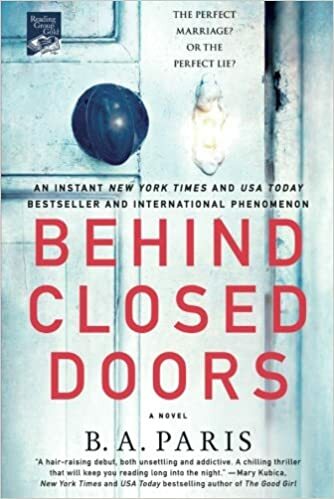 It didn’t have the same kind of unexpected twists, turns, and breath holding moments like Gone Girl, and I was able to guess the ending about half-way through the book. I have heard that the HBO series is really good, so I am a little interested in seeing that, but I give the book a “meh”. So what’s on my list for next year? Here are a few I have my eye on. Let me know what you plan to read, or any of your favorites from this year that you recommend! Thanks to my sister who filled me in on her favorite books from last year so that I could compile some of my 2019 list. I have about 50+ books that I have gradually collected on my Goodreads “want to read” list, and I get lost in indecision every time I look at it! Ok, your turn! Tell me your hits and misses, and happy reading in 2019! I am embarrassed to say that I never read To Kill a Mockingbird until last year. I know most people read this book in high school, but for some reason, it was never on my reading list. I didn’t have much of an interest in picking it up as an adult because it was a “school book”, which sounded like it wouldn’t be much fun. When I finally did read it last year, I discovered why it is a timeless classic. Truth be told, I don’t know if I would have fully appreciated such a work as a high school student. I probably would have rushed through it and missed all of the nuances of the book. 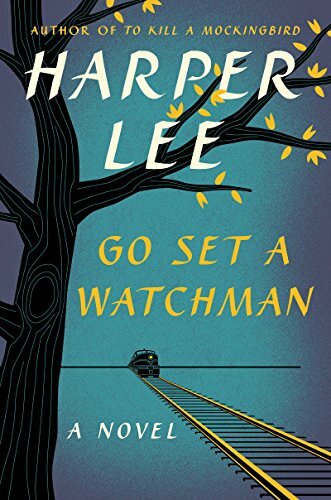 So, after falling in love with TKAM, I was quite excited to read Ms. Lee’s long-awaited sequel. Her writing is beautiful and thought-provoking, with our favorite characters from TKAM all grown up. I do love Scout, so feisty and idealistic, ready to take on the world and unwilling to conform to the expectations of her small-town upbringing. It is so interesting (and infuriating) to me that the issues of race and white supremacy are still as relevant today as when she published TKAM in 1960. The buzz when this book came out was that it portrayed Atticus as a racist, which turns out to not be entirely true. Atticus, like all of us, is a mix of dark and light, good and bad, redeeming and unredeeming qualities. We see him trying to live out his moral convictions in a very broken society that does not share his views and is fiercely trying to maintain the status quo. As the story unfolds, we see Scout’s perception of Atticus change, as it does for all of us when we grow up and find out that our parents are just people, with flaws and faults, and the pedestal we had placed them on starts to topple. Overall, I loved the book, mostly because of my preexisting relationship with the characters. I found the plot less compelling than TKAM, but still a good follow-up to this classic. 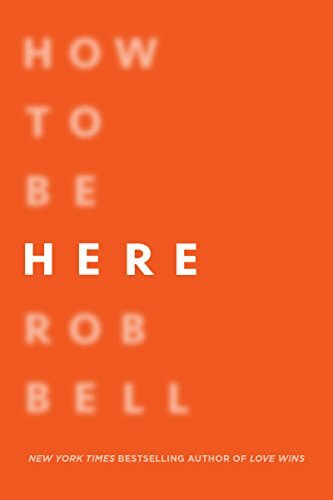 Rob Bell just seems like he is everywhere these days, so I needed to check out at least one of his books. I still want to read some of his other offerings, but this one left me feeling a little flat. It was a pretty quick read with short, manageable chapters and upbeat, encouraging language for all you optimists out there. His main point is that we are all part of the ongoing work of creation, and therefore all work is creative work. We need to find our “ikigai” (a Japanese word meaning our “reason for being”), which is constantly evolving, and learn about our own selves and our gifts so that we can offer the world the fullest expression of ourselves. Overall, I found the content…forgettable. And maybe just a little too shiny-happy-people-holding-hands for my taste. Which makes me wonder if I missed the point of the book. Full disclosure, I did read this book when I was very sick with a sinus infection and hopped up on cold medicine, so it is possible I did not absorb HTBH it to its fullest extent. I read this book in preparation for my short-term missions experience in April, and it rocked my world. As a Christian, I have been socialized to go out in the world and help others, show mercy through action, and to do good in His name. Those of us who live in privileged Western societies sometimes look beyond our borders and see our brothers and sisters in third-world countries suffering hunger, thirst, war, and oppression and we feel the natural desire to help. Often, our efforts toward poverty alleviation are directed closer to home. 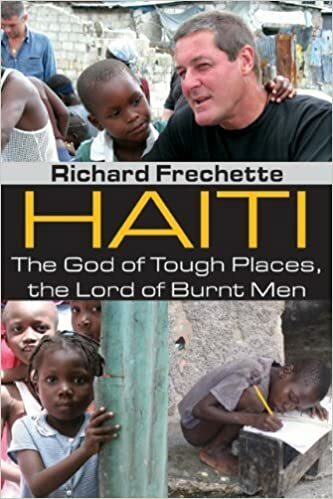 This book explores how our efforts both at home and abroad, though well-intentioned, can actually cause harm to those we set out to serve by reinforcing dependence, robbing people of their dignity, setting up an unequal relationship that fosters a “God-complex”, and even suppressing the local economy through donations and relief aid. 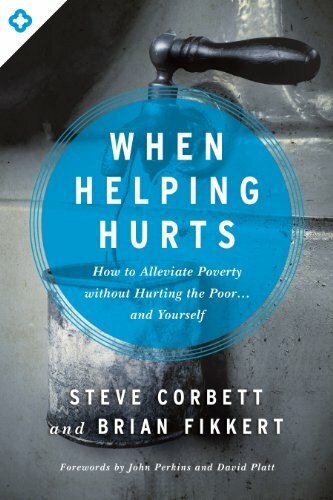 There are many excellent stories and examples in the book, along with practical strategies for those who wish to be involved in poverty alleviation. I plan to read this one again, as the content is rich and I will need to refresh my memory on the concepts in this book. 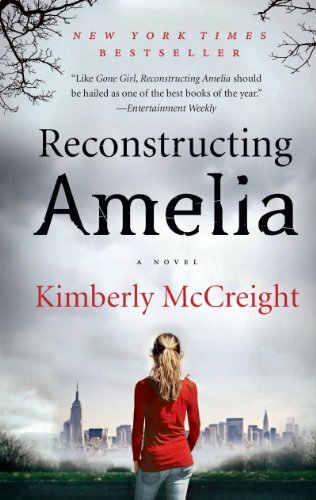 This one was a serious page turner, and I was excited to read it, since some had lauded it as “the next Gone Girl“. I read this shortly after my birthday in my new hammock, and finished it in a week. The plot is a modern day mystery, with a teenage girl found dead after falling off the roof at school. Her mother is unable to accept the school’s explanation that her daughter Amelia committed suicide, and sets to work piecing together clues to find out what happened to her daughter. The story was compelling and kept me reading, but I was unsatisfied with the ending. I think it was a decent read, especially if you are looking for a “summer beach read”. However, it was far too one-dimensional to be “the next Gone Girl“, which, in my opinion, was brilliantly crafted. 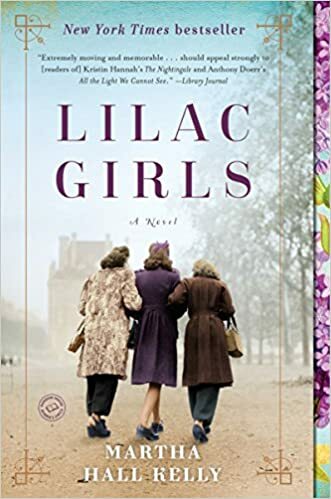 This is a beautiful work of historical fiction, set in occupied France during World War II. 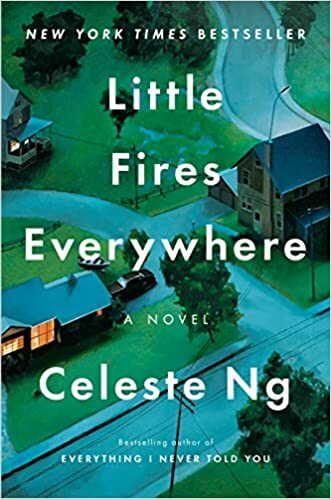 This book was highly acclaimed and the winner of a Pulitzer Prize, and I agree that the writing is beautiful and the plot very interesting. However, there were several times I got a little weighed down by the descriptive prose, and the story sometimes moved a little too slow for my taste. That aside, I am sure this much-loved novel will become a classic. This one I enjoyed as an audio book on our way to the Adirondacks for our summer vacation. It was pretty interesting to listen to, and had some good advice for artists and non-artists alike about how to let go of fear and embrace your inner creativity. There are some good stories and anecdotes, and the book is well written. 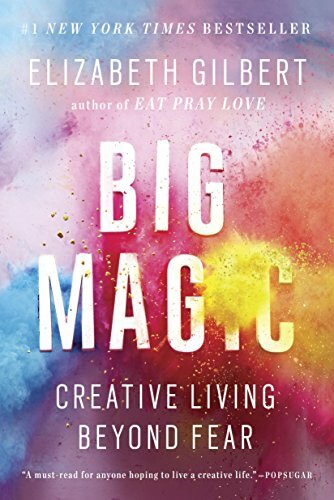 While it is interesting to get a peek into Ms. Gilbert’s creative process, I found this book very…self-promoting (I had similar feelings about Eat, Pray, Love). She talks about herself a lot. It reads more like a memoir, though it is not advertised in that genre. Generally speaking I find her, as a person, quite insightful. I follow her on Facebook and usually find her to be encouraging, brave, and authentic. Did I feel inspired to tap into my creative side by the time I completed the book? Yes. Was I also tired of hearing Liz G. talk about herself? Yes. P.S.-Don’t tell Liz I said that about her book, I really want her to like me. If I had to describe this book in one word: WOW. Blew me away. 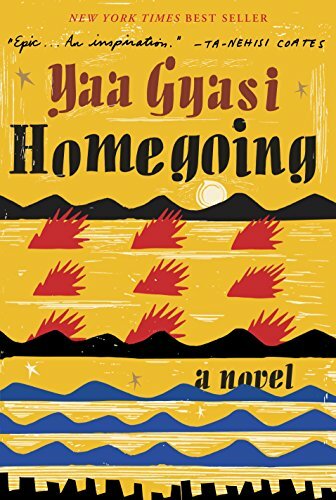 This brilliant story chronicles the lives of two half-sisters in Ghana in the 18th century. 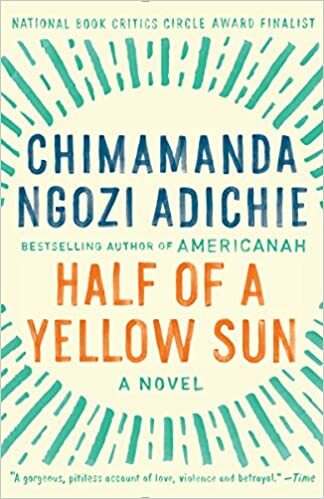 One sister is sold into slavery and travels from the Gold Coast of Africa to America, and the other sister is married off to a slave trader and remains in Ghana. The story then follows the family lines of both sisters over the ensuing centuries, exploring the contrasting cultural, racial, socioeconomic, and family issues that arise on both sides. Historical fiction is my absolute favorite genre! I learned so much about the African slave trade while highly engaged in this compelling story. Listen up. You need to read this book. 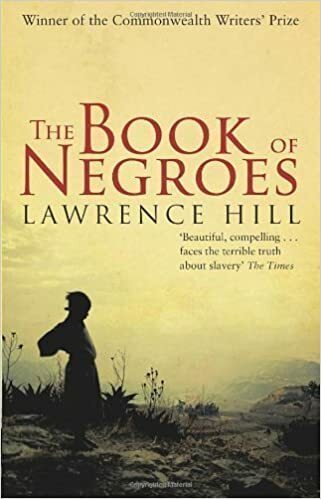 I am officially bestowing unto The Book of Negroes the award for my favorite book out of all the books I read this year in the category of fiction. That is a big deal, people. Extra points because the author is Canadian! Way to represent the homeland Mr. Hill. This book just broke my heart over and over and left me spent and exhausted and emotionally drained in the absolute best way by the end. Doesn’t that sound fun? A light read it is not, but I am not a big fan of those “fluffy” beach reads. This here is something you can sink your teeth into. I can’t even tell you anything about the plot because I don’t want to spoil it. Just read it for yourself. This book was so highly anticipated for me because I am a Glennon Doyle Melton fangirl. I loved her first book, Carry On Warrior, and I am an avid follower of her blog, Momastery. And yes, I took a short trip Atlanta to see her when she was on her book tour, and it was awesome. And now I sound like a groupie. Or a stalker. Anyhow, what I love about her writing is her honest, authentic voice. There is no facade here, no putting her best face forward so that what people see and hear is some cropped and perfected and photo-shopped version of her. 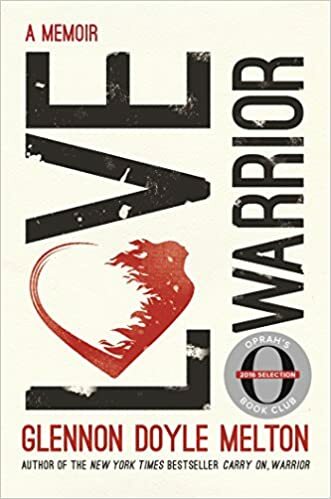 In Love Warrior, Glennon gives us the gift of her pain, and what she learned about herself from it. She doesn’t sugar-coat her journey or tie it up all neat with a bow by the end, or give you 10 simple steps to work through it. Her story is both nothing and everything like my own journey. This one wins the award for my favorite book out of all the books I read this year, in the category of non-fiction. This is a sweet little book full of essays by Father Rick Frechette, who is both a Catholic priest and a medical doctor. He is the medical director for NPH Haiti and St. Damien’s Pediatric Hospital in Port-au-Prince. I had the privilege of hearing Father Rick speak at an event at a local church and it was so interesting and beautiful to hear from this humble, godly man and to witness his devotion to this country and its people. Thanks to my good friend Kris for loaning me her copy, which is still on my nightstand needing to be returned! I guess Kris and I should have lunch sometime soon so I can get that back to her! I was actually really surprised by how much I loved this book. It ended up being one of my top 5 favorites this year. 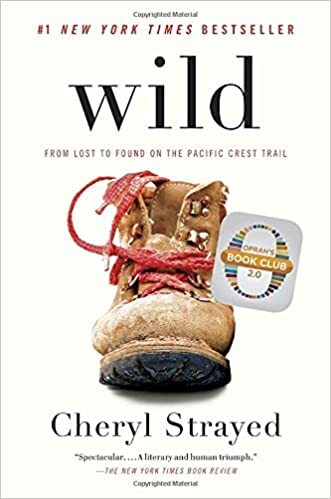 I downloaded it on my Kindle because it was available at the library and I wanted something to read that week, and it turned out to be a real standout. 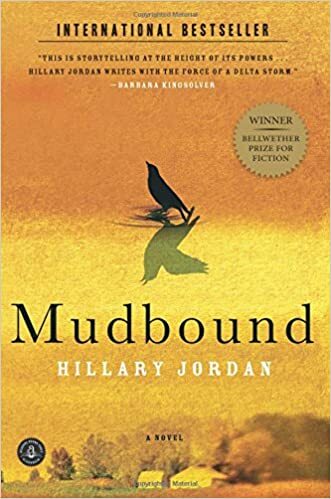 Set in 1946 on the Mississippi Delta, the author explores the issues of racism, white supremacy, and racial violence in the Jim Crow south, telling us the story of two war heroes (one black, one white) who returned to their families at the end of WWII. The character development in this book was top-notch. I can’t wait to read what she writes next. This well-publicized memoir was a good read, but I saw the movie before I read the book so I think I probably spoiled if for myself. 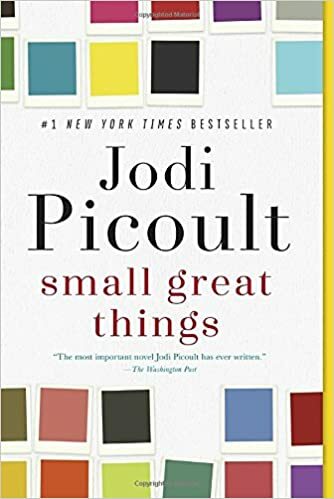 I liked reading about the author’s personal journey through grief and addiction toward wholeness, but some of the details in the book became repetitive after a while. (Spoiler alert: lots of hiking with unpredictable weather, and her feet were sore a lot!) Overall, a well-written book by an author whose 20’s were way more eventful than mine. If I had to describe this book in one word, it would be: IMPORTANT. 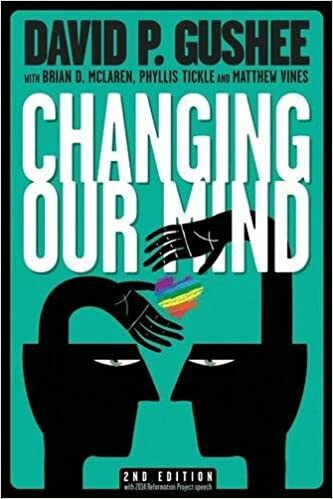 This book explores the issues of homosexuality and homosexual marriage in the modern Christian church, and argues for full inclusion and acceptance of LBGTQ people in the church. As an evangelical Christian, I have struggled over the years with how to reconcile what I have always been taught in the church about homosexuality and gay marriage with my own personal beliefs and the changing political landscape of our day. This book addresses the issues from a biblical perspective, as the author takes us on his personal theological journey from one side of the coin (against homosexual relationships and gay marriage in the Christian church) to the other (in support of inclusion and homosexual marriage). This book contains a lot of wisdom, and I think it would be helpful for anyone wrestling with questions about this issue, whether or not you come to the same conclusion as the author by the end of the book. 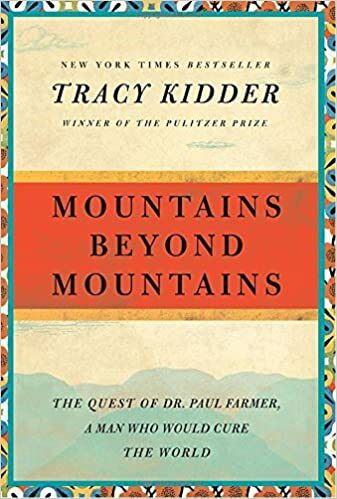 This book is a biography of Paul Farmer, an American physician who started working in Haiti very early in his career as a medical student and ended up co-founding Partners In Health, a non-profit organization currently operating in some of the world’s poorest countries with the goal of bringing modern medicine to the world’s poorest communities by providing a “preferential option for the poor”. This was a fascinating read about a very quirky, driven, idealistic man with big dreams and a lot of tenacity. The writing was excellent. I tried to read one of the books that Farmer himself wrote earlier this year and wasn’t able to get through it due to the boredom quotient, but this one kept me reading. I heard about this book on another blog I follow, and I loved it! The Enneagram sounds very New Age, but it is really an ancient wisdom tradition that provides a model of looking at the human personality and behavior. For those of you who are familiar with other personality theories, such as the Meyers-Briggs model, this is similar, though also in a category of its own. The Enneagram divides personality into nine types, and this book describes each in detail with the goal of discovering more about your own type to lead you into greater self-understanding and self-compassion. I discovered that I am a classic “One” on the Enneagram, and was able to understand more about the other types as well (and also identify the “numbers” of many of my loved ones and friends!). I definitely want to read another book on this topic next year. This was more of an overview, for those who are new to the concept. I know why the caged bird sings: Maya Angelou I am half-way through this one, but didn’t finish it in time to put it on my 2016 list! My first Maya Angelou book. I am late to the party. Falling Upward: Richard Rohr Waiting for me at the library right now! Can’t wait! The Silent Sister: Diane Chamberlain Also waiting at the library! The Nightingale: Kristin Hannah My sister loaned me this one at Christmas. Both my mom and my sister gave this top marks. It will have to wait a month or so until after I finish the library books. The Other Boleyan Girl: Phillipa Gregory Also on loan from my sister, who has great taste in books. The Enneagram: A Christian Perspective: Richard Rohr As a follow-up to The Road Back to You. I recently learned about Richard Rohr and I am becoming a junkie. The Underground Railroad: Colson Whitehead So excited to read this one after hearing rave reviews about this award-winner. 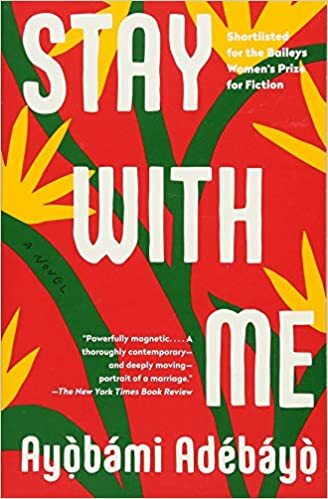 Breath, Eyes, Memory: Edwidge Danticat This was published almost 20 years ago, but after finding out that the author is Haitian, and the story is set in Haiti, I definitely want to read it. So, talk to me! What did you read this year? What do you hope to read next year? I gotta go, I have a lot of reading to catch up on!! So many books, so little time! This post is dedicated to my “Saturday Sistas”. I took up trail running last winter. It was the middle of February and gloomy as all-get-out, here in Rochester. From January through March, it feels more like Blah-chester. My friend Mary is a committed runner and goes out to Mendon Ponds Park every weekend with her sisters and a smattering of friends. Whenever there is enough snow, they run on snowshoes. I had heard her talk about it, and one week I asked if I could go along. She graciously offered to loan me her spare pair of snowshoes, and off we went for a Saturday morning in the park. I had been cooped up inside for so much of the winter. Last winter was particularly long, cold, and snowy. Getting out in the fresh air, running over a frozen pond, I felt like I was conquering winter! I was sticking it to Mother Nature! I was hooked right away. I went out later that week and bought my own (very good quality) snowshoes. This amused Jeff immensely, who enjoyed giving me a hard time about buying fancy snowshoes after just one run. Then I reminded him about all the bikes in our garage. Because you can’t have just one bike, right? You need a road bike, a mountain bike, a winter bike, a “beater bike”, a spare bike, one for your trainer….anyhow, I think he figured it wise to lay off at that point! The snow ended up lasting through the end of March, so I got some excellent wear out of my snowshoes. As winter turned into spring and summer, our group continued to meet to run the trails, and I found running to be a huge outlet for me. I look forward to it all week and get out of bed early Saturday morning, giddy to meet my friends at the park for our run. I don’t think I could commit to run as far or as long on my own as I do with my group. I am pushed on as we run by our conversation and laughter. The landscape is always changing, so it is never boring. In the winter we get to see the snow covering the trails and weighing down the tree branches, the sun reflecting so bright it is almost blinding. In the spring we get to watch as the leaves start to bud and new life springs up everywhere. In the summer, the woods become dense and shady, protecting us from the sun’s rays. And in the fall we get to witness as the leaves burst into beautiful colors all around us. Sometimes I will be on a trail we have run dozens of times and have a moment of panic. “Where am I? This doesn’t look familiar. Have I been this way before?” Then I will see a familiar landmark, and realize that it is just the changing season making my trail look unfamiliar. It’s still the same trail. It is just covered with leaves or snow or, sometimes, horse poop. Yes, horse poop. They allow horses on the trails, and part of the “experience” is catapulting over the steaming piles, then yelling a warning to your comrades behind you. I think trail running is a good metaphor for life too, hopefully you won’t find it too cheesy. Sometimes I look around and I feel lost or I get confused. I thought I knew where I was going and how to get there, but then, all of a sudden, things look unfamiliar. I think we go through different seasons in our lives that make the landscape look different, but the trail is still underneath there, in the same place it was before. Sometimes you have to dodge horse poop along the way. Sometimes you get some beautiful colors to look at, or some shade to protect you, and other times it is just really cold and quiet and bare. It usually helps to have a few friends along to keep you company and help you if you lose your way.